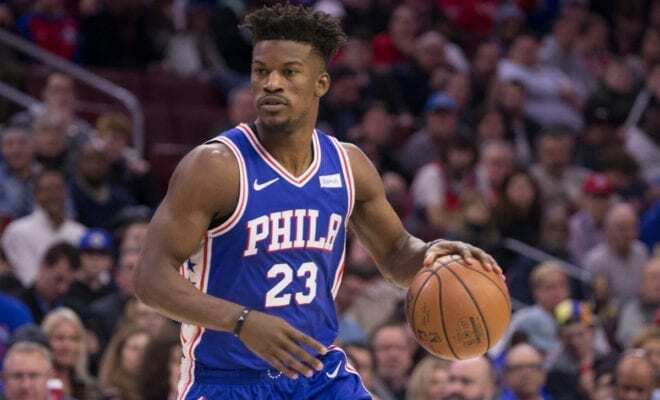 Just over a week after banging his first game-winning 3-pointer for the Philadelphia 76ers, Jimmy Butler hit another from nearly the same spot to give the Philadelphia 76ers a 127-125 victory over the Brooklyn Nets on Sunday. The shot not only gave Philly the win after trailing Brooklyn by 19 points halfway through the third quarter, it confirmed one thing: Jimmy Butler is clutch as hell. In the last three years, Butler has nailed five game-winners with 10 seconds or less remaining. Only one player has more – Russell Westbrook with seven, per ESPN Stats & Information. If you watched the shot, by Butler’s reaction you’d be forgiven for thinking that he thought he was the second-coming of Kobe Bryant. But after the adrenaline had subsided and he returned to the locker room, Jimmy Buckets was quick to draw the attention away from himself. 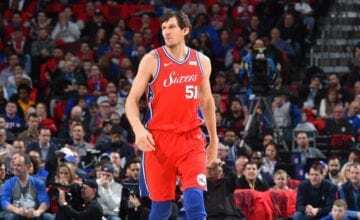 “Another play drawn up by [Sixers coach Brett Brown], and my teammates have a lot of confidence in me to take shots late,” Butler told reporters. He makes it sound so simple, like if I was there I could have done the same thing. I wouldn’t be able to do that in NBA2k with the game sliders turned all the way up. Joel Embiid had a much more authentic response to Butler’s game-winner. 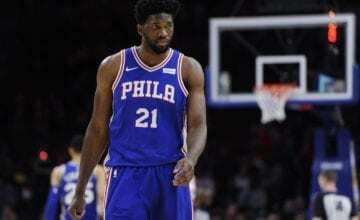 “A big-time player got to his spot and hit a big-time shot,” Embiid told reporters after dropping 32 points and 12 rebounds. Coach Brown was equally sincere. “Jimmy did what Jimmy does and what he’s done for us before,” said Brown. Butler ended with 34 points, 12 rebounds and 4 steals on the night. If that’s what “Jimmy does”, then Philly fans and his teammates will be hoping that Jimmy does that every night.